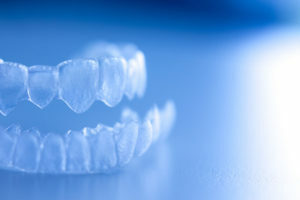 Invisalign is a new and innovative technology for aligning teeth. Compared to braces that are too obvious, they are clear, almost invisible trays that are also custom-made to align your teeth. If you use it, you change aligner trays around once a week, and this is where your teeth slowly move its position. It claims to be able to align teeth twice faster than braces. First, you need to find a dentist who has training and experience in using Invisalign. He will evaluate your needs and see if it is the right fit for you. Second, using a digital scanner, your dentist will scan your mouth to create a precise 3D image of your teeth. Some doctors will take physical impressions. After that, he will create a treatment plan and tell you how your teeth will move and how long the treatment will take. You will see a digital projection of how your final adjusted teeth will look. weeks to see your progress. They are easy to clean because they are removable. Your dentist will give you a cleaning kit, and you can also wash them with your toothbrush and rinse with water. Is it safe? Yes, it has been clinically proven to be safe and effective for different misaligned teeth cases. These include gapped teeth, overbite, open bite, crossbite, and overly crowded teeth. Once your teeth have correctly aligned, Invisalign also has Vivera retainers that are also invisible when you wear them. This will ensure that your teeth stay aligned after the treatment.